Yes, there is a method to our madness, although it can change it anytime. Over the years I have become much more flexible with our curriculum. It’s not because I know better, it’s just because I am more comfortable in my homeschooling skin. 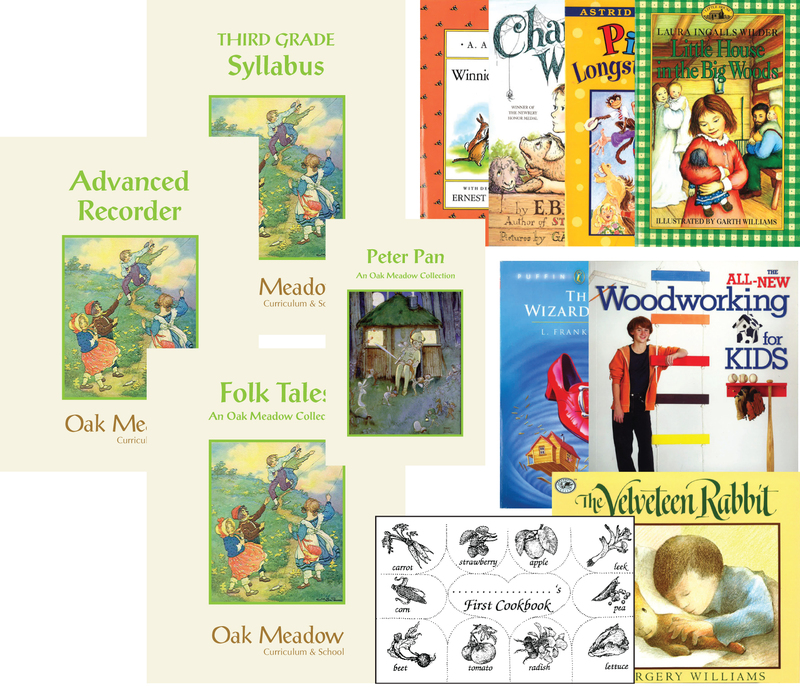 Although I would no longer consider myself a Waldorf Homeschooler, I use Oak Meadow’s curriculum as a skeleton framework. It is a beautiful curriculum that uses Waldorf ideals with a more traditional bent. I appreciate the work they do to create their own literature compilations as well as the choices they make in classical literature. As far as the rest of the curriculum we use it loosely. No recorder, and we add in our own Cup and Saucer Chemistry for science. For the most part I use it to tell me what I need to do to fulfill my duties per grade. I always use Oak Meadow’s own compilations because they are aways full of gold! Usually I use them by reading a story the night before two days a week and then discussing in the morning while Isaiah illustrates in his sketch book. As far as the Oak Meadow’s suggested books for student reading, I read those to him for recreation on alternating nights or on days where we don’t have social studies reading. Isaiah is dyslexic, so I leave the reading instruction to a very patient and wise tutor. Phonics and Writing: Isaiah is dyslexic, so I leave the reading instruction to a very patient and wise tutor. However, In the past I found the best way to help Isaiah with understanding phonics was to use Explode the Code 3 doing 3-4 workpages a day, and slowly moving through phonics. We are currently working on Cursive Writing as directed by Oak Meadow. Personally I am very distressed that the public school system has eliminated Cursive from the curriuculm. We will not be doing that. Everyday we choose a sentence from our story and I write it in Cursive and then he copies it. and Cup and Saucer Chemistry (Dover Children’s Science Books) . My son is very interested in chemistry, so I need to supplement with experiments or he gets bored. I use the Social Studies either from the book or as a guide. For third grade, true Waldorf recommends Old Testament stories and with that I agree. So we are adding The Story Bible in order to cover the Old Testament stories in a way that will be enjoyable for us both. For Fourth grade Waldorf focuses on Pioneer times and the new world. We will be veering off that course, and I will share that with you in our posts this year. I do not use the math from Oak Meadow. For Math we use Math U See, it is really the perfect math system for any homeschooler and teaches the child at whatever level they are at. I am not very crafty, but I try to do at least some seasonal crafts. Oak Meadow’s curriculum comes with plenty of suggestions. Oak Meadow also comes with a children’s cookbook which we are using parts of, and Isaiah and I are cooking together. As the weeks go on I will be posting a more detailed description of our weekly curriculum, also explaining our choices in more detail.